Our Community Outreach and Day Services have been very busy over the past few months not only aside from day trips to the likes of; The Cavan Centre, Rathwood and the Broncho Ranch, our Service Users have been participating in a number of activities. Over the past few months, Fairgreen Day Service has had a Chef working with Day Service attendees each Wednesday, teaching them new cookery skills, food health and safety and food hygiene, in a relaxed class environment amongst fellow Service Users. According the Day Service staff, the Service Users have engaged very well with this and are enjoying rustling up dinner dishes such as; stir fry’s and chicken curry’s and all by themselves, even desert dishes such as; apple tart and chocolate cake. For those who would prefer not to cook, Fairgreen has been offering alternative activities, their latest activity to be added is a drumming workshop. This programme is being run by renowned drumming master Eddie O’Neill who works children’s groups, schools, people with disabilities, art and music Clubs and is well known throughout the Arts Council. The drumming workshop is running for 20 weeks and takes place every Thursday at Fairgreen. 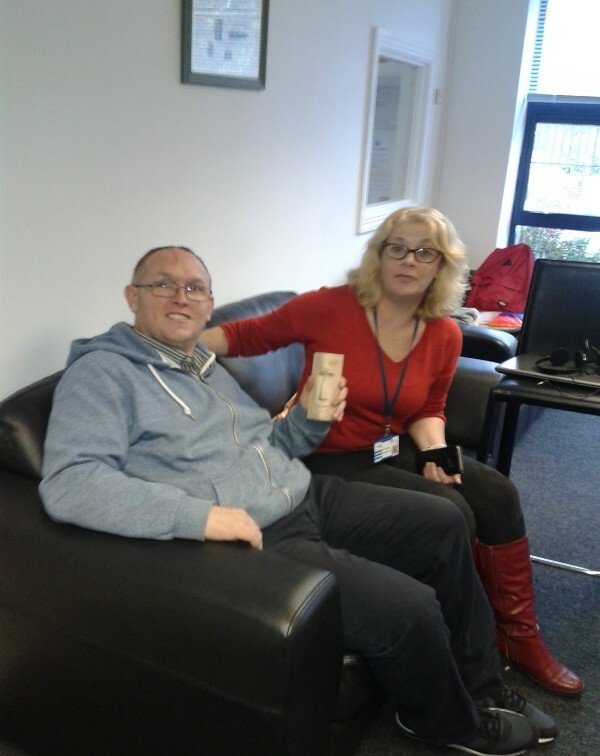 Recently Service User’s and their support staff were busy completing a woodturning course, facilitated in the Riverview Drop in Centre. Woodturning is a form of woodwork that is used to create wooden objects on a lathe. Woodturning differs from most other forms of woodworking in that the wood is moving while a stationary tool is used to cut and shape it. Many intricate shapes and designs can be made by turning wood. Two distinct methods are spindle turning and bowl or faceplate turning. Their key difference is in the orientation of the wood grain, relative to the axis of the lathe. All Service Users thoroughly enjoyed the course and they all got to go home with their own piece of work. It was a great day and was lovely to see all staff and service users working collectively and learning new skills. All the Day Services are working diligently particularly, in recent weeks as preparations for Christmas get well underway. Over at Winterdown Day Service, they are making pressed apple juice, jams and preparing Christmas Chutneys. Chapel View Day Service are busy making wooden candles holders and other lovely Christmas gifts as part of the festivities whilst those over at the Riverview Drop in Centre are working on crochet items and Fairgreen are working on Arts and Crafts in preparation for the Annual Nua Service User Christmas show which will take place this year, on Wednesday 14th December 2016.